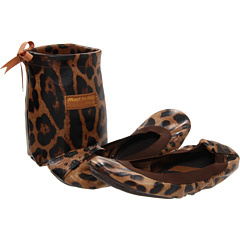 These sweet flats in Leopard print are sure to get you noticed in all the right ways! Part of the Zigi girl Collection from Zigi™. ZiGi goes downtown with Zigi soHo, Zigi ny, and Rock Candy! This is a fashion-forward footwear line that exudes effortless style. The Zigi girl is fun, edgy and unique! She knows who she is and what she’s about, and what she’s about is fashion at an affordable price. Zigi shoes, sandals and boots have a serious bite to them. They’re flirtatious and fun and totally girly! Stay fresh with a pair of ankle boots or add some glam to your look with a pair of blinged-out sandals or heels! Whatever the occasion, Zigi is designed to meet your need!